Member Voices: Really – A Career in Event Planning? 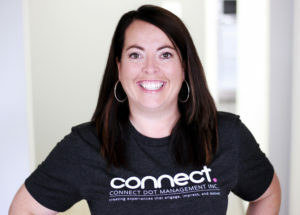 - Connect Dot Management Inc. In my business I regularly receive calls or referrals from candidates that believe a career as an event planner is in their future. But very few actually have what it takes to make it for the long term. I always say, if you want to work for an event planning company, in an event planning position at a corporation, or by starting your own event planning business, it’s wise to connect with an experienced planner and volunteer your time to see if it’s the right fit for you. In event planning, success is in the details. Simultaneously keeping track of numerous tasks, multiple vendors, and constantly changing to-do lists while keeping your client happy and informed can be challenging. 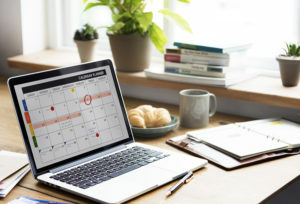 If you are the type of person who continuously is creating lists and calendar appointments to stay organized then planning may be something that comes naturally. In our agency we manage multiple events simultaneously and without lists, meetings and project management tools our planners wouldn’t be set up for success. It’s impossible. Being highly organized is a must for successful event planning. Success lies in the ability to prioritize and focus on each task without becoming distracted by other things that need tending to or becoming overwhelmed by the numerous things needing your attention. At various stages of the event planning process, there are numerous tasks being managed. These could include volunteers, registration, fielding calls, negotiating with vendors, etc. 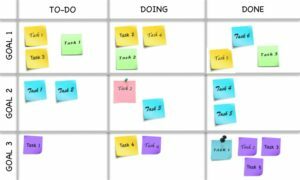 Add multiple events in the planning stages all at once, and you need to be a gifted multi-tasker and prioritizer. Successful event planners need to know how to effectively multitask and keep many aspects of the event moving along simultaneously without any of those tasks falling through the cracks. Staying calm, focused and flexible are attributes of a successful multitasker. If you are easily flustered or become overwhelmed when there are more than three items on your desk – event planning is not in your cards. This trait can be the hardest to master as every client is different and the rules for each client are not the same. Some are friendly and want to give this event their all while some are very disorganized and don’t have a clue where to start. Others are in it with you every step of the way but may be harder to develop a relationship. Knowing how to relate to different personalities, how to connect with someone whom you want to do business with and being someone that makes a positive impression are keys to success. No one wants to work with or assist someone who is difficult to talk to, hard to understand or rude and unprofessional in any way. Successful event planners are personable, engaging, good conversationalists and excellent listeners. Event planning is a very social profession in that the end result—the event itself—is a group of people, large or small. Understanding people and enjoying talking to them are part of the job. This does not mean that, as an event planner, you will spend most of your day out at client lunches and having cocktails at social events. Not at all. Event planning is hard work and much of it is spent at a desk with a phone and computer. It’s true having excellent communication skills are essential in many roles. In event planning, miscommunication can result in numerous problems for both the event planner and the client. The clock is always ticking and the event is always looming closer, which can cause some clients, vendors and other stakeholders to be on edge. If communications are going sideways – pick up the phone. People can easily hide behind emails and the only way to get on the same page is to make that call or meet in person. If you’re an “email only” planner—your relationships will be less effective. By building great personal relationships, it’s easy to call in favours and get a few items for free or at a discount too! You don’t have to be super creative to be a good planner but it helps. Successful event planners have ideas and they use them constantly to improve their events and take ideas that seem impossible and bring them to life. Problem solving is another way to think creatively. Facing the inevitable problems that arise during even the most diligently, professionally planned event can be deflating. 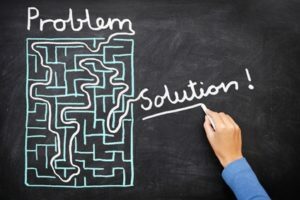 Problem solving can be a form of creativity to develop solutions and can positively impact the success of your event. There is a solution to every problem. Clients usually ask for the impossible and the only way to find it is to pick up the phone and start making calls. You can learn a lot about suppliers and the services and products they offer (and what they don’t offer) by calling them to get the Coles Notes. It’s not unusual for a client to throw in some surprise request a few days out from your event and if you are shy and relying on email, you will never be able to pull off the most amazing last minute requests. Not everything is possible but with a little dedicated effort you can be a star. Many event-planning jobs start at 8:30 a.m. and sometimes carry on into the evening. As a planner it is reasonable to be asked to work up to 13 hours on event days. As an event manager you may have more responsibilities and may put in more hours. It doesn’t happen every day but when those heavy event weeks are upon us, there could be my long days finalizing details. When the event is in progress there is no rest for the weary. You have to find that inner strength to continue on and still be positive. You have to know how to care for yourself, know what to eat and know when you need to break. As the saying goes ‘the show must go on’ and fading during the final set-up or execution is a sure sign that being an event planner is for the strong willed. Everyone needs to have the stamina to get the job done. Still want to be an Event Planner? I encourage anyone with these skills to learn more!